Transportation during the Spring Festival, called Chunyun in Chinese, is an annual test on China's transportation systems. The Spring Festival, also known as the Chinese Lunar New Year, which falls in late January or early February according to Gregorian calendar, is the most important festival for the Chinese as it is an occasion for reunions with family and friends. Particularly, people hope to return home from work or study to have a reunion dinner with families on the Lunar New Year's Eve. 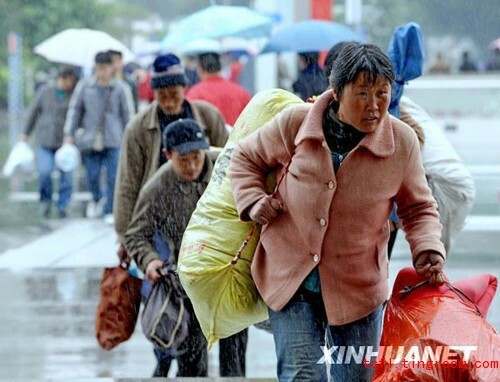 Hundreds of millions of Chinese people are on journey as the Spring Festival travel season begins. Therefore, Chunyun has created enormous pressure on China's transportation sector. The Ministry of Railway and the National Development and Reform Commission usually issue circulars during the period, demanding that coordination mechanisms be established among transportation departments, different localities and police, and that countermeasures be made in place in case of emergencies to ensure efficiency and a complete success during the peak travel season.